Holy cannoli. I’m sure you all thought you may never hear from us again, haha. YIKES. We are so sorry about the insane delay as far as sharing updates- but I assure you… SO MUCH HAS BEEN DONE OVER THE LAST MONTH. AND WE ARE SO STINKING EXCITED! 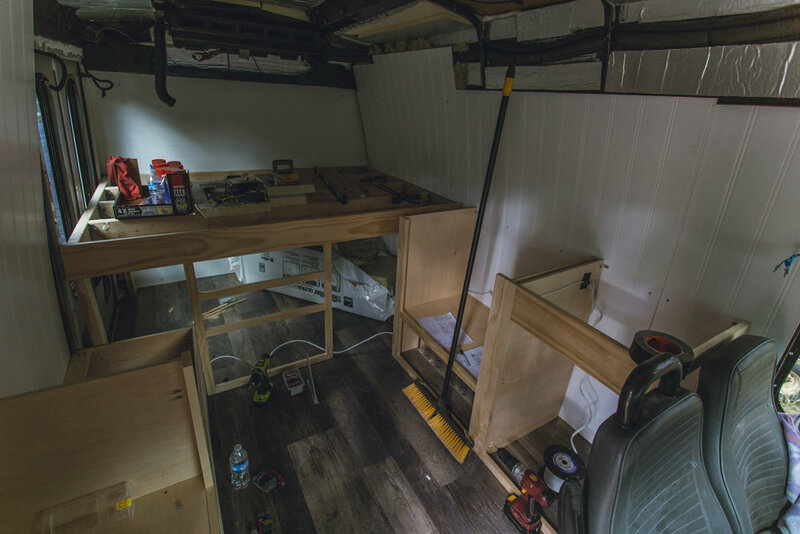 The last time we talked to you, we had just installed the wainscoting for the walls, cut a hole in the roof for our fan, got our battery boxes welded (compliments of Nathan Till) and just started to dig into building the framing for the cabinets. So keep on reading, and you will get the whole, entire scoop on the latest and [some of the] greatest updates. Photo 1: The battery/solar cabinet. There will be a hatch added to cover the batteries. Photo 2: Cabinets starting to take shape and give a feel for the lay out. Photo 3: Solar wiring starting to go in. On the left is our fuse panel, on the right is the charge controller that will regulate electricity between the batteries and the solar panels. 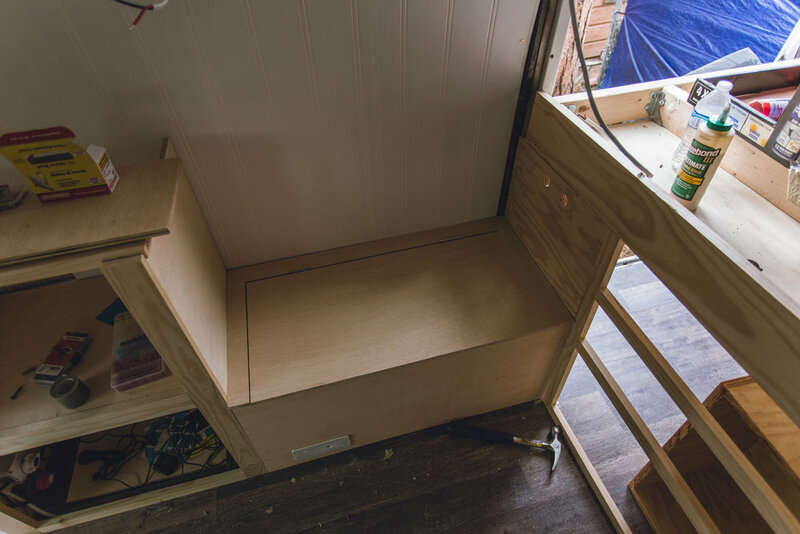 Photo 4-5: We decided to do a bench seat over one of the wheel wells to gain some storage space, keep it more open than a countertop, and have an extra place to sit. Plus, this is where the little one will sleep in her bassinet while small enough to fit in the space. We will eventually install a little flip-up sort of gate, so she won’t be able to slide off for any reason. Photo 6-7: The bed platform all finished. 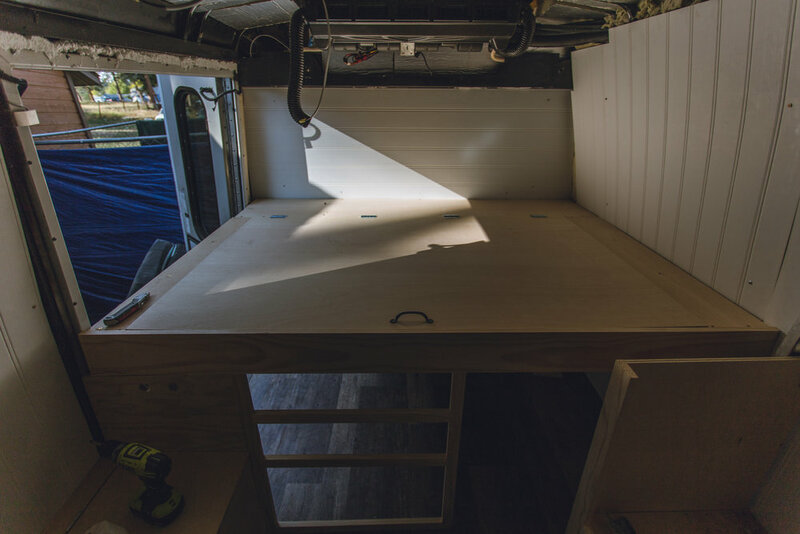 Panels were added on the underside of the bed supports to create storage compartments. Photo 8: This is the propane locker. It will be getting a door added to the front with a seal to be air tight and will also have a vent hole to outside through the floor. It is big enough to hold a standard 20 lb propane tank. Photo 9-12: Here we have the upper cabinets before and after install. Photo 13-15: The divider wall in these photos is where the propane heater will be mounted. Another upper cabinet was installed over top of the stove as well. Photo 16: Lastly, we have the storage cabinets above the cab of the vehicle. No space was left unused. Which is crucial in a space of this size. 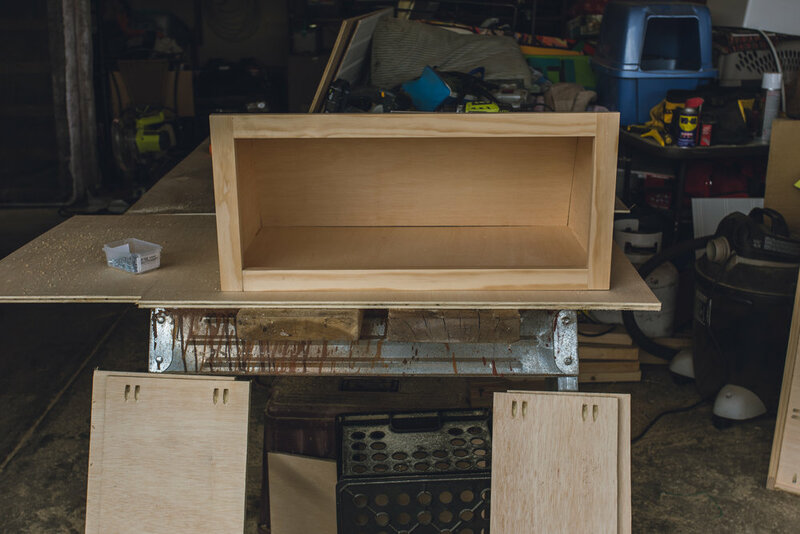 Photo 17: Drawer boxes were built and installed to the sliders. 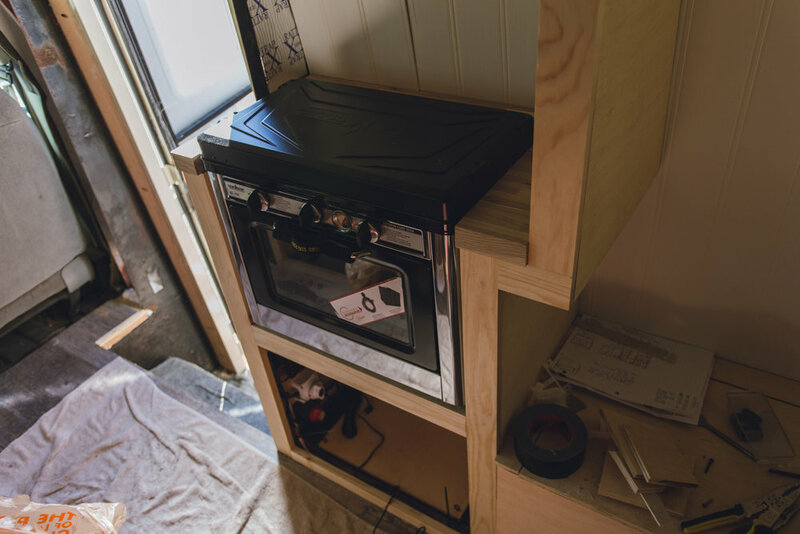 Photo 18: Test fit of the oven! Photo 19: Cabinets are now painted! 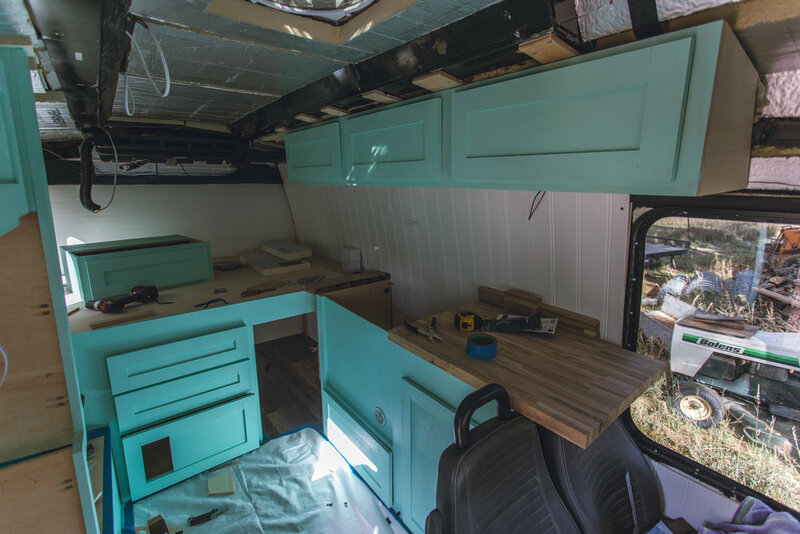 We decided to go with a minty green to brighten things up inside. Photo 20: The heater mounted to its wall. Photo 21-23: Here are a few shots of the cabinets painted and doors mounted. Photo 24: Jax, our cat, has really enjoyed laying on the dash in the sun while I have been working. Already loves being a van kitty! Photo 25-27: Last but not least, the finished cedar tongue and groove ceiling! CAN YOU EVEN BELIEVE HOW FAR WE’VE COME?! Seriously. We are just absolutely amazed looking back at our “before” photos and comparing the differences. It is mind-blowing, and wonderful and we are SO EXCITED! We project at least another two-three weeks before she’s done, but it’s all good. The weather has been mostly conducive for long work days, which is a nice plus. Gotta love fall time in Colorado! 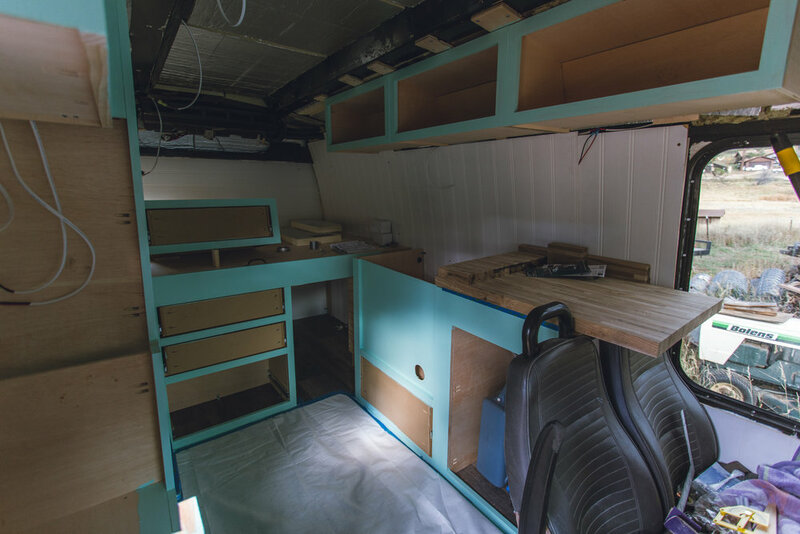 Some of our next big projects include: purchasing and installing new flooring for the driver + passenger seat area, making some decisions about what we want to do around both the main door and the back doors for a finished surface (as far as potentially painting vs. putting up more wainscoting, etc.) installing magnets in the cabinets so they stayed closed during travel, installing the cabinet hardware, etc. Unfortunately, I [Amanda] haven’t been able to do a whole heck of a lot to help, mostly due to the complicated nature of the projects Ty has been working on. It’s one of those things where, trying to help = getting in the way more than actually helping. So I’ve been watching, learning and admiring Ty A LOOTTTTTTTTTTTTTT. It’s insane how much he’s been able to do, practically alone, in such a short amount of time. I’m so amazed by how natural, even some of the more complicated projects, came to him and how seemingly easy it was to navigate through the challenges. Because, I know if I was doing ANY of this alone… I would have thrown in the towel a LONG TIME AGO (definitely not “naturally handy” lol). I finally wrapped up editing wedding photos from a session back in September— and WOW, was I surprised by how long it actually took me! It was worth every second though, and I’m still just so honored I had the opportunity to capture A WEDDING DAY! Kind of a huge dream, honestly. I also received the opportunity to photograph maternity photos for friend late last month, and am, of course, ALWAYS in love with shooting maternity photos. Another very special moment that I’m just so, very honored and touched to photograph. Our baby girl is doing wonderful! Can’t believe I’m HALF WAY THROUGH! We had an anatomy scan ultrasound last week, and everything measured as it should. I loved seeing how big she has grown, and how healthy all of her organs and bones look. I’m starting to feel her little flutters, and think they’re getting stronger and more noticeable by the day. It’s so surreal in so many ways, and I can’t believe I get to experience growing a little human. I feel so lucky! We’ve already had many ask us about gifts/baby shower… and the planning of the shower is in the works as we speak! We will have it here at my folks’ house in Colorado, around the end of January. Invites will be sent out on a Facebook event once all of the planning is done. If you aren’t able to travel/attend and still want to send a gift, please message either myself or Tyler and we will let you know the best way to do so! Obviously space is limited :) so we have a pretty specific list of registry items that we are starting to gather. Stay tuned! Think that’s about all for now. Thanks for reading, and stayed tuned for more updates soon!